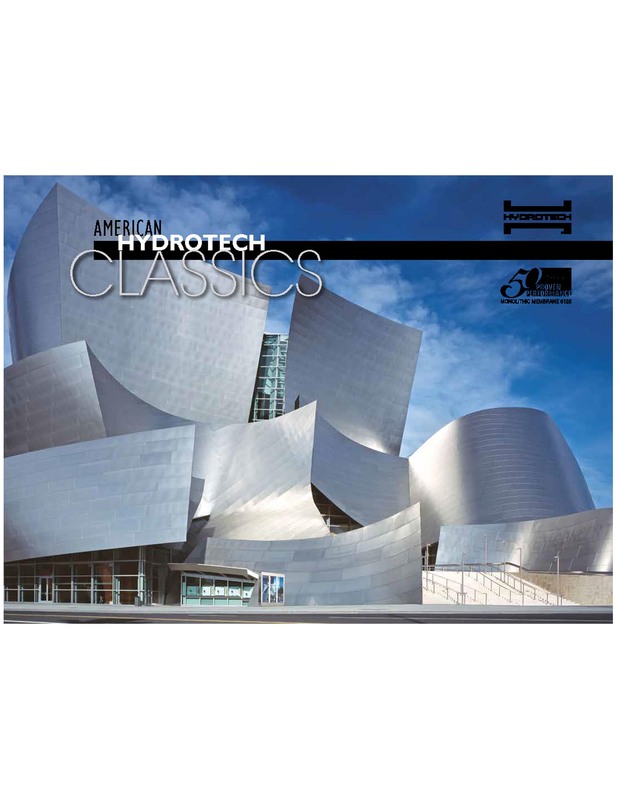 Celebrating the company’s legacy and innovation for 50+ years, Hydrotech has published a classics book featuring some of the most compelling structures designed by today’s leading architects and design firms. 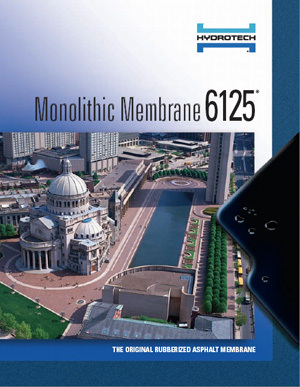 MM6125 has been successfully used worldwide by leading architects, engineers and owners on all types of horizontal and vertical structures including plazas, parking decks, planters, tunnels, mud slabs and roofs. 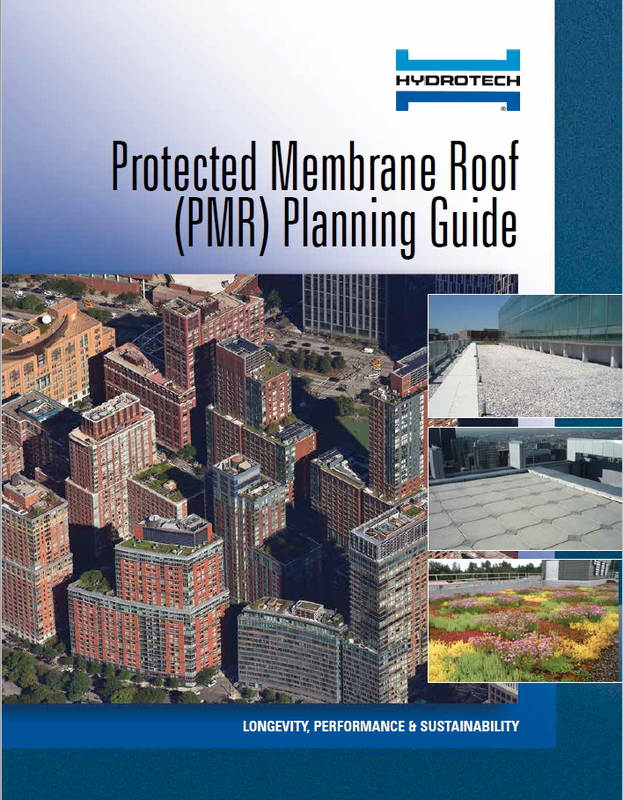 NEW: The Protected Membrane Roof (PMR) Planning Guide explains the benefits of reversing the conventional arrangement of roofing materials, where the membrane is below the insulation. 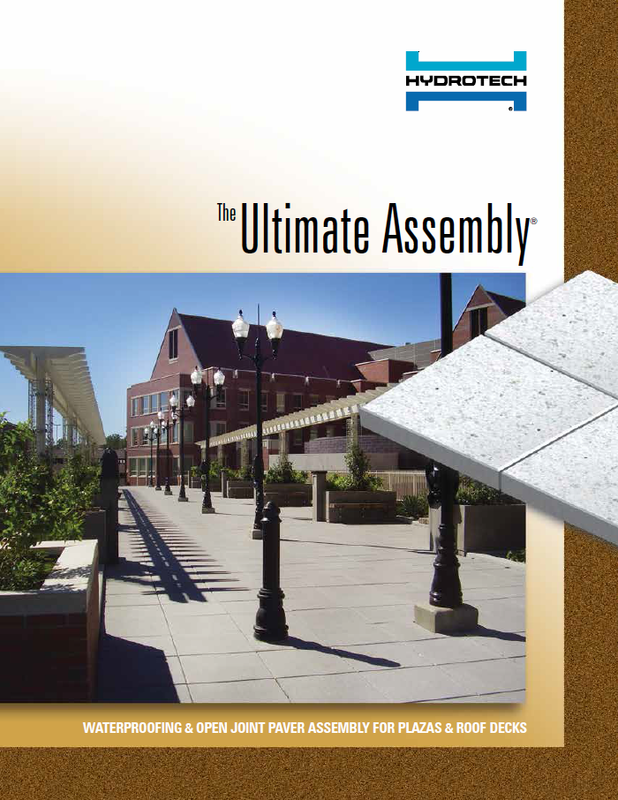 Hydrotech’s Ultimate Assembly® is the perfect solution for roof decks and plazas when optimal performance must be matched with superior aesthetics. 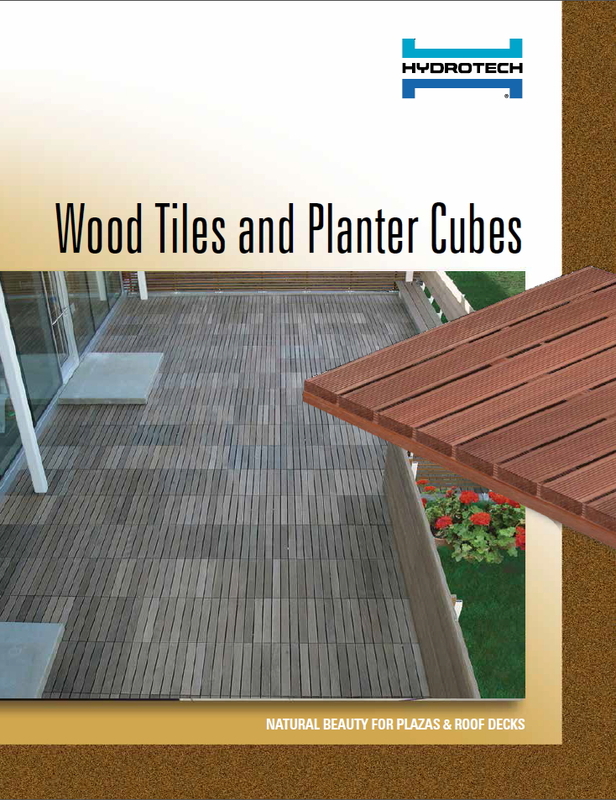 Hydrotech offers Wood Tiles & Planter Cubes as an alternative to stone pavers for certain applications. They exhibit excellent resistance to weather and provide architectural charm and warmth to a roof deck. 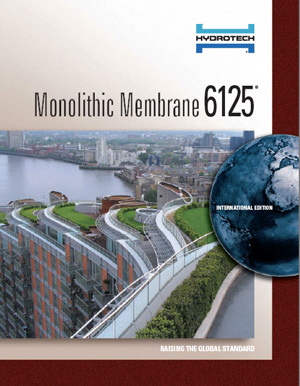 Hydrotech has been specified worldwide by leading architects, engineers and owners on all types of horizontal and vertical structures including plazas, parking decks, planters, tunnels, bridges, mud slabs and roofs. 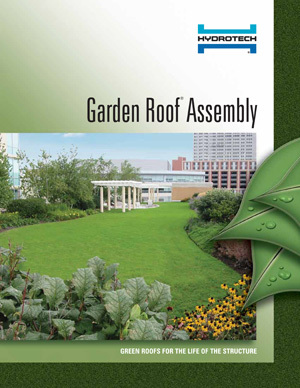 Hydrotech’s first Garden Roof® Assembly was installed in 1996; the first “single source” green roof assembly (everything from the deck up) in America. 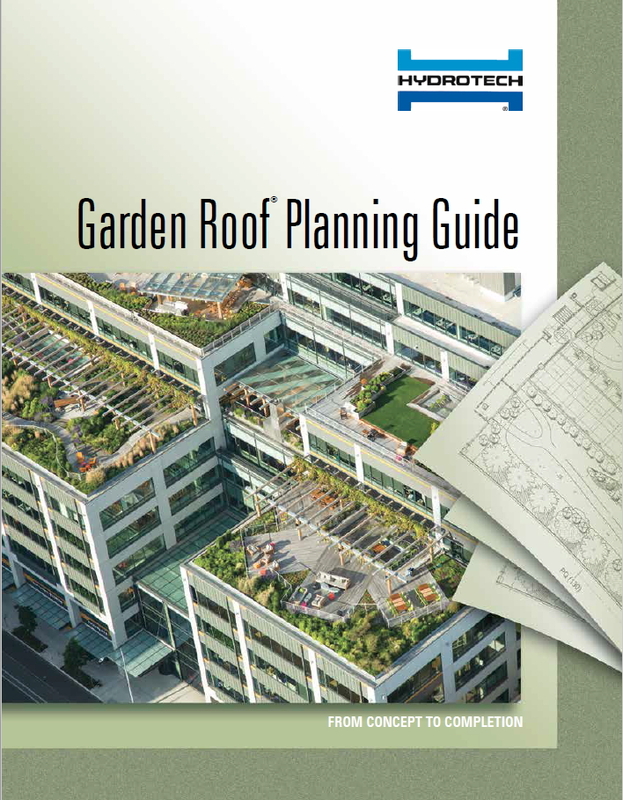 NEW: Updated V.4 of the Planning Guide addresses vegetative assemblies in an easy-to-ready format across categories such as: technology and materials, proper planning and design, installation and maintenance. 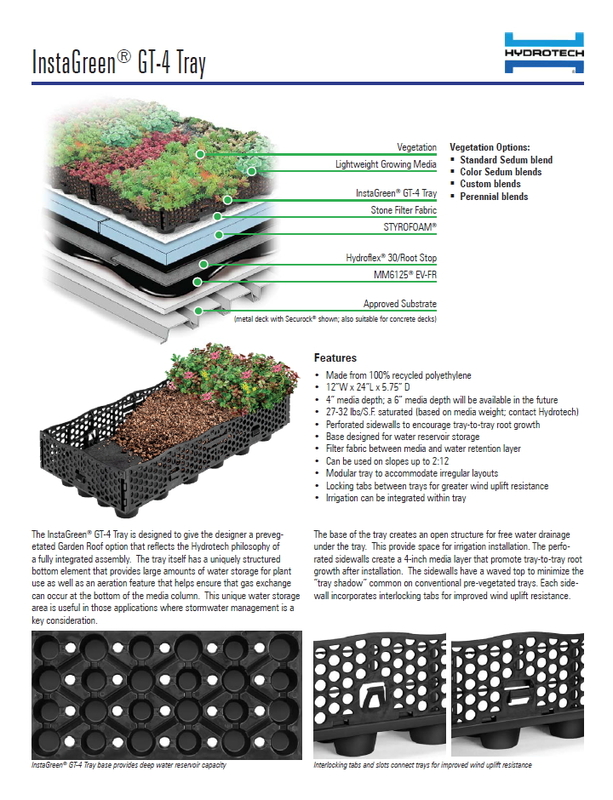 The InstaGreen® GT-4 Tray is designed to give the designer a prevegetated Garden Roof option that reflects the Hydrotech philosophy of a fully integrated assembly. 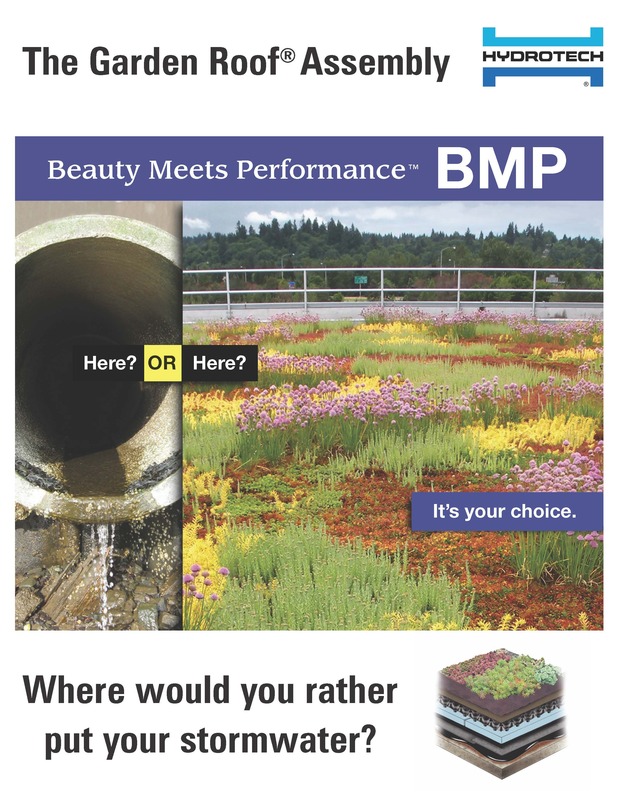 Hydrotech has been involved in stormwater management on rooftops for many years and provides components such as LiteTop® growing media and plant materials that are used to mitigate the effects of stormwater. 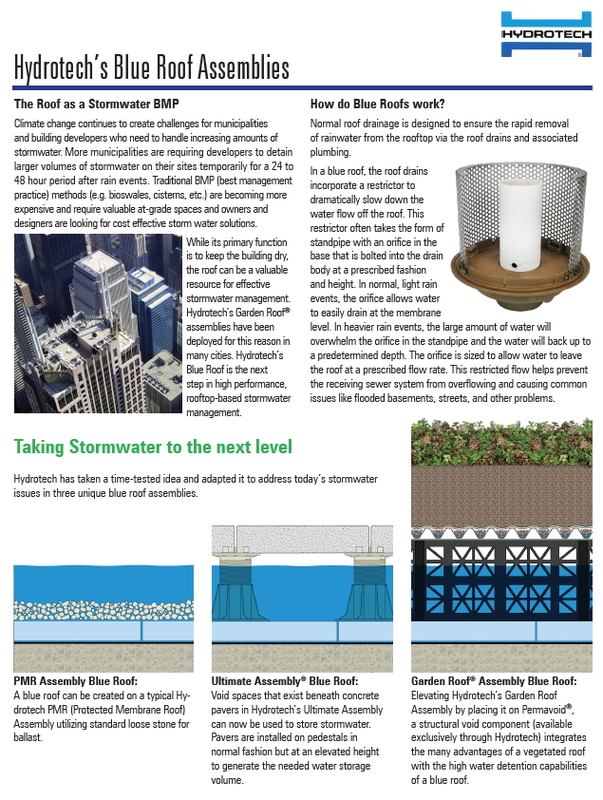 Hydrotech has taken a time-tested idea and adapted it to address today’s stormwater issues in three unique assemblies: PMR Assembly Blue Roof, Ultimate Assembly Blue Roof and Garden Roof Assembly Blue Roof. 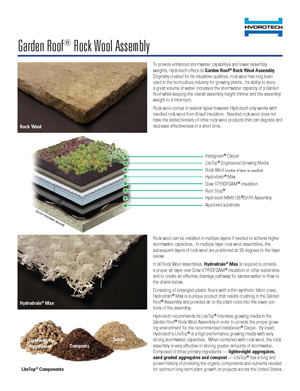 The Garden Roof® Rock Wool Assembly is a hybrid assembly that combines the high water holding capacity of LiteTop® media with the exceptional water holding features of needled rock wool.